A huge range of products designed for all ages, suitable as school supplies or to play at home. Because drawing, painting, modelling, cutting, sticking, are not only ways to have fun. They also contribute to the children cognitive development. Ergonomics, european scales, of high resistance and guaranteed quality. All the presents could have their own personality. A huge assortment of wrapping papers and decorative rolls and ribbons turn them into something special. A whole range of labelling machines, replacements and marker labels with professional guarantee. It all started with a dream, be part of daily life people. After 25 years this dream has come true and we have become a company of reference on the wholesale market of stationery, school and office supplies. Growing together is our recipe. We grow with you professionally and personally with the essential objective of building projects combining all the ideas for any and all the members of the Flojim team. And above all to keep up with the needs and trends of the moment. We distribute our products from Barcelona at national and international level (to local and abroad customers) and we have our own sales network that counts with more than 40 commercial agents. Flojim is the distributor, in the national discount market, of the premium bench marks Pelikan, Milan, Staedtler and Enlivo, besides having our own brands Escribo Line y Flofix, with a well-established nacional market and a with a increasing international expansion based on solid business pillars. Our headquarters is located 15 kilometres from the most important port in the south of Europe. A special position to maximise the transport logistics effectiveness. We receive goods from anywhere in the world and issue them fast and quick throughout the Spanish and Portuguese geography and also for southern Europe and Africa. 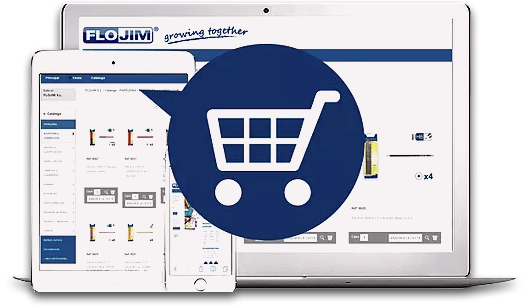 The commitment of Flojim’s team along with direct selling to distribution warehouses and retail stores have succeeded in a consolidated market for our brands. The strength of being in good company. Because premium brands as PILOT and STAEDTLER, among other ones, trust in our work philosophy and in the quality of our products. For that reason working with them is a FLOJIM success. This speaks highly well of our company. It’s an achievement that we have build up with a lot of effort and perseverance in improving every day. And we will keep looking for more partners that endorse our market position. Easy, from your home, your office. Or from your mobile. Wherever you are. Click on our stationery and office supplies online shop.